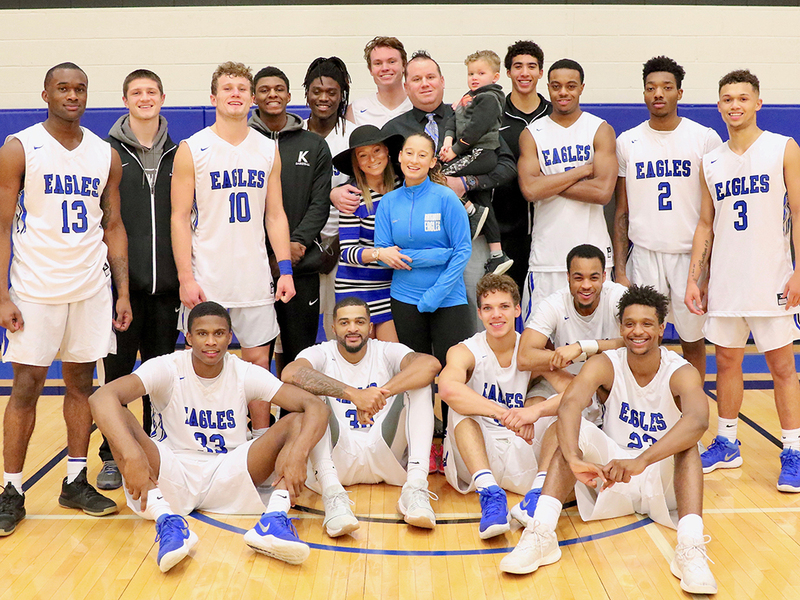 CEDAR RAPIDS, Iowa (January 15, 2018)-Kirkwood Community College will hold a brain cancer awareness event and fundraiser for Men’s Basketball Assistant Coach Ben Jacobson this Wednesday, January 17. The event will coincide with the men’s and women’s basketball doubleheader versus North Iowa Area Community College (NIACC) beginning at 5:30 p.m. Both contests will be gray-out games, the brain cancer awareness color. Jacobson, who is coaching in his fifth season at Kirkwood, was diagnosed with brain cancer late last year. Donations to support Ben and his family will be accepted at the game. In addition, t-shirts can be purchased to help in the fundraising efforts. The cost $15 and they can be purchased at the door on Wednesday evening. Contact Lynn Lueck in Athletics at 319-398-4909 for more information. Contributions can also be made at www.gofundme.com/fighting-with-coach-jacobson.